The theme of this year’s NADA Convention is defined by one very powerful word: “connect." I couldn’t imagine a more perfect term to define this industry. Everything is connected. From the individual parts, materials, and entities that unite to build a vehicle, to the methods dealers use to connect with their customers. The ultimate goal for manufacturers, dealerships, and marketers is to simply find a way to connect with potential buyers. The avenues of connection are endless and constantly expanding. Real-time data analysis has connected probability with human intent, allowing us to better connect the dots that will ultimately drive more showroom traffic in 2016, which will also lead to more opportunities for human connection. Digital advertising doesn’t sell cars - people do. Experiences sell cars, and that applies to the online experience you offer all the way to the human-to-human interaction in the showroom. We need to leverage tools that will validate digital to showroom connectivity. It is equally important for our sales staff to be able to connect with customers in person when they arrive at the dealership. People buy cars from people they trust, that they share values with, and that know the ins and outs of their inventory. Last year, NADA Chairman, William Fox mentioned in his keynote address, “Dealers are the face of their manufacturers in every town throughout America.” Which brings me to the point of how important it is for dealerships to have their digital strategies aligned with their OEMs and third-party partners. All messaging should relate to one another across all channels and be consistent at every level. It’s more important than ever for us to bridge the gap in the relationship between manufacturers and dealers. We’re all traveling along the same railroad. All initiatives should follow a single track as we ride the rails towards a single goal: driving buyers into dealerships. NADA is so incredible because it provides endless opportunities to connect with and learn from other automotive leaders. 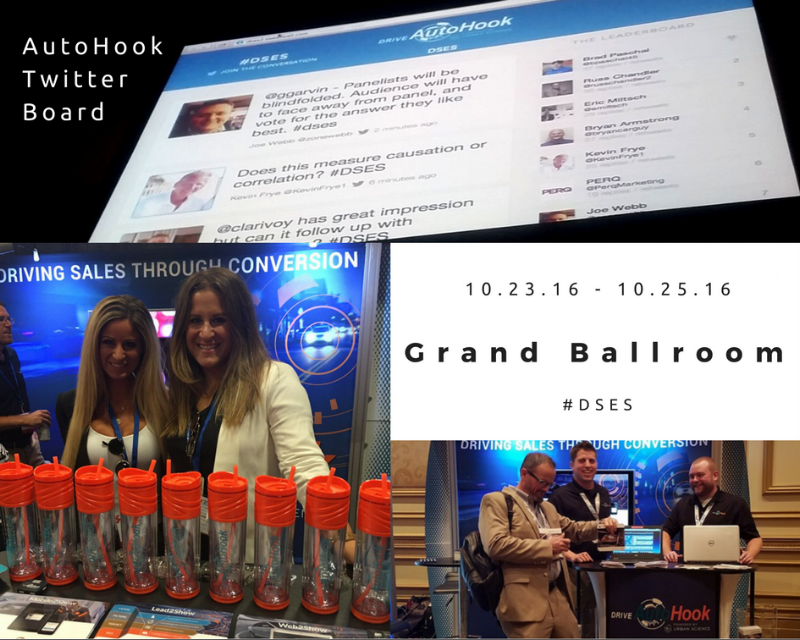 This industry thrives on both competition and change, and this event is the cultivation of innovation, growth, and collaboration for all. 1. 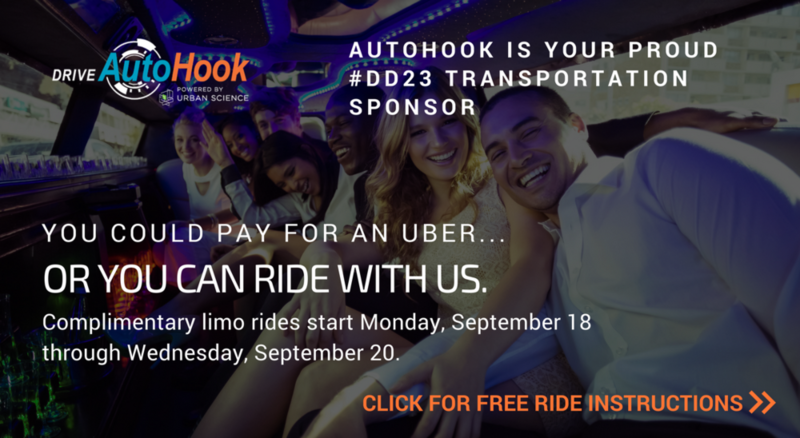 Ride in Style with our Complimentary Limo Transportation: Thursday, March 31st - Sunday, April 3rd, AutoHook will be providing free limo transportation from the convention center to all your Vegas destinations. Just text “NADA” to 55678. 2. Attend our Old Skool Hip Hop Party: Channel your inner table-turning party-starter at the freshest cocktail reception at NADA on Friday, April 1st at the Sayer’s Club at the SLS Hotel and Casino. Why have a three-hour boring dinner when you can enjoy food and bottle poppin’ at Vegas’ newest hotel? Take our complimentary limo service to and from the party. Regroup with your team and rest from the grind with a drink, or get jiggy to some Run DMC. Don’t forget to capture all these moments on camera at our exclusive hip-hop photo booth. Click here to request your invite. 3. 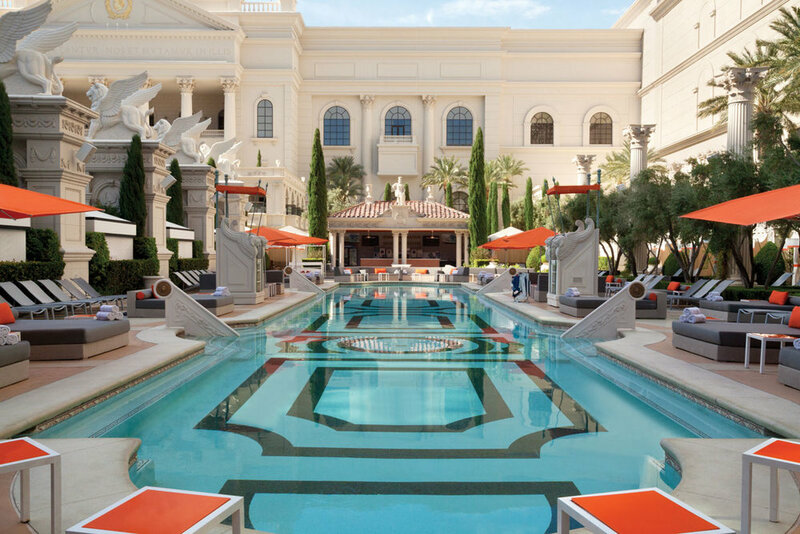 Escape and Relax at our Poolside Cabana Lounge. When you are ready for a break from overcrowded exhibit halls, join AutoHook poolside at our VIP cabana lounges located at the Foxtail Pool Club at SLS. Have a meeting, receive a demo, or just hang out and have lunch or a cocktail. The lounge will be open Friday and Saturday from 10:00am-5:30pm. No meeting required, all are welcome. 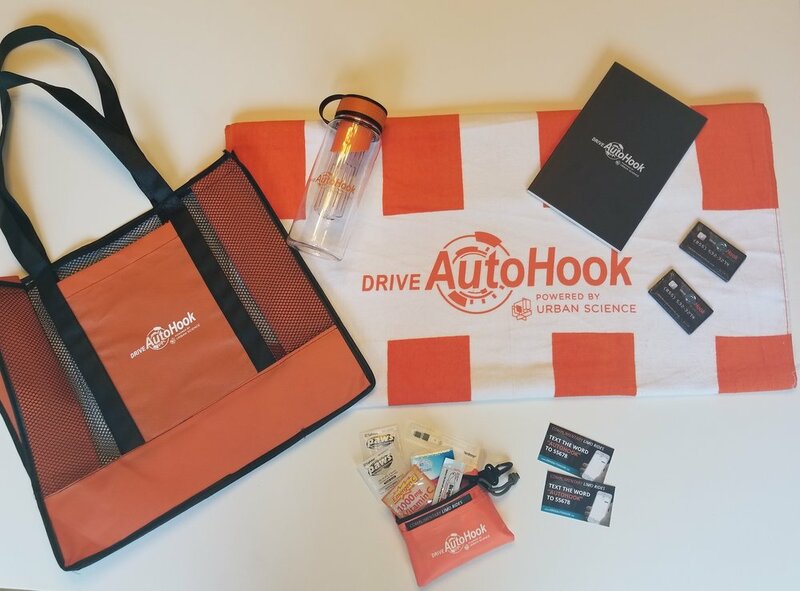 For more details, please visit DriveAutoHook.com/NADA16. We can’t wait to connect with you!